In the course of 30 years in the analytical business AppliTek has been able to acquire an extensive experience in most analytical techniques, resulting in an extended portfolio of water analyzers and process analyzers for water quality analysis and process monitoring purposes. Dealing with a wide variety of application fields and water matrices, we have developed a set of entry-level and advanced filtration systems that help us cope with the most demanding water and liquid applications. Any type of water is characterized by a specific matrix, according to the specific composition and origin. Some of these matrices, such as waste water and process water, are particularly challenging to analyze due to the complexity of their composition, and require appropriate and rugged analytical solutions. 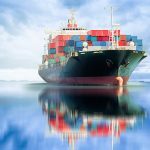 In certain process applications, especially in the petrochemical industry or the chlor-alkali industry, similar issues with chemical liquids can be found. Elevated temperature, pressure and viscosity all can present challenges to manufacturers of on-line analyzers, especially in critical process applications. 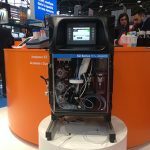 Ergo, the successful implementation of on-line analyzers in process control strategies could not have been achieved without the development of a new generation of automatic filtration systems and sample preconditioning systems. Examples of these are found at customers worldwide that rely on AppliTek’s vast know-how, ensuring that the samples are easily and reliably fed to the analyzers. 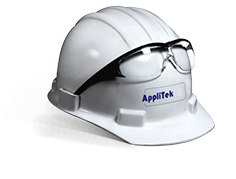 AppliTek is able to offer a solution to nearly each and every preconditioning challenge. All AppliTek filtration systems and preconditioning systems are designed for fully automatic operation and require virtually no human intervention. Basically all systems are incorporated either with a blow-back action by instrument air, or a specific cleaning cycle. This fundamental design principle does not merely allow trouble-free sampling, moreover it contributes to high up-time. The design and choice of materials of our systems is second to none and make them ideal to be used in many applications, even for non-AppliTek analyzers. In addition to some of our sample preconditioning systems, AppliTek’s analyzer system integration division designs, engineers and constructs complex on-line monitoring systems, from single analyzer racks, sample preconditioning and filtration systems to complete analyzer shelters with all necessary utilities.